Music Licensing For Businesses: Real or Scam? ›Music Licensing›Music Licensing For Businesses: Real or Scam? Music Licensing For Business: Real or Scam? You may know that music used in a business must be licensed. 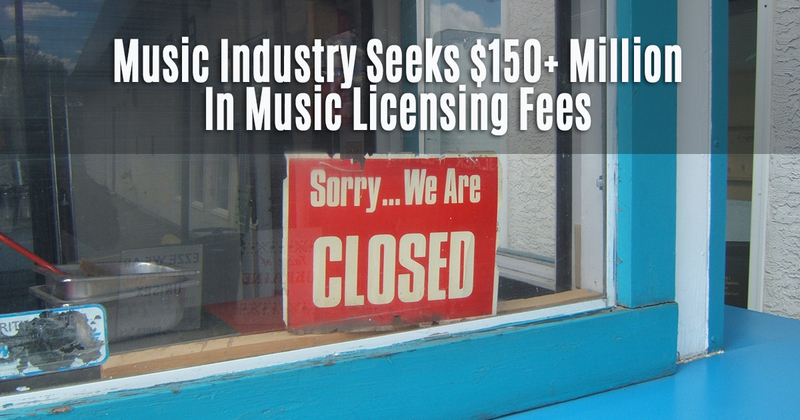 ASCAP, BMI and other performance rights organizations (PROs) are tasked with collecting performance rights licensing fees on behalf of music publishers. These organizations have been stepping up their collections activity, sending letters and making phone calls (in some cases showing up in person). But if you receive a collections letter from a music licensing group, how can you tell if it’s real or a scam? Who Must Pay Music Licensing For Businesses? If your business facility uses music in any way, you must pay “performance rights” to the organizations that represent the publishers of the music. The only exception is for broadcast radio and tv in businesses under 2000 square feet (3750 square feet for restaurants). There may be additional fees based on your type of establishment. For example, if you own a restaurant or bar that features live music, if there is a fee for entering your establishment, or if there is a physical activity coordinated with the music (such as a public skating or dancing). In an excellent article published by the Palo Alto Area Bar Association, business owners are informed, “If the music sound is clearly audible in the space designated for customers, the playing most likely infringes the [music] owners’ exclusive public performance rights in the sound recordings.” This means that use of music, even for a small business, creates a copyright infringement and therefore is a liability, both legally and financially. If you have received a letter or email asking for music licensing fees, take some time to do a followup with ASCAP, BMI or SESAC. Do not respond to an email or open any attachments to an email that comes from an unfamiliar source. Please find attached your PPL invoice for your licence to use recorded music (whether via CDs, Radio/TV broadcasts, background music systems or other sources) at your premises. Permission to use PPL repertoire under the terms of the licence will only be effective once payment has been made. Payment of your invoice can be made online at ppluk.com/payonline or you can call us on 020 7534 1070 to pay by credit or debit card. 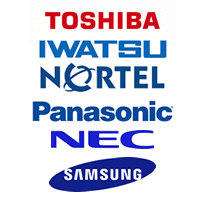 All payment methods can be found on the back of your invoice. This is an automated email. If you have any queries about the invoice or requirements for a PPL licence, please refer to the contact information below. First of all, he does not do business in the UK and therefore does not have to pay PPL. Secondly, the email included an attachment that looked like a word document. Opening attachments from unknown sources is a bad idea; the PROs know this. They are not likely to send a document in an email unless they have spoken to you in person first. Decision Time: Pay Now Or Later? Easy On Hold enters into a music license agreement with the creators of high-quality music for phone on hold backgrounds. In recent discussions with Chuck Ansel, Vice President of Operations for Universal Publishing Production Music, we confirmed that no PRO is due any music licensing fee whatsoever, as long as the only music being used has come through Easy On Hold as licensed through Universal. In other words, if you use Easy On Hold as the source for your music on hold, and receive a request to pay fees from a PRO, just send the request to us and we will stop any attempt to collect. All Easy On Hold customers are completely covered for performance licenses for the music provided. Spotify also says it is not for commercial use. They are working on a commercial version, but even then it won’t cover the PRO licenses, saying in a web release, “The performing rights must still be paid”. Besides, the service isn’t available yet and there is no announced launch date. Audio CDs or mp3s? Not legal, because you are still “performing” the music, for which there is a separate license fee on top of purchasing the audio (in any form). Satellite radio is also not a legal use of music in your business. Again, the subscription to a satellite (SIRIUS/XM) is typically for personal–not business–use. Like other services, a business-only version is available for a higher price. If you’re looking to play music legally in your business, get some helpful details and pricing from Brandi Music first. Contact Brandi Music. Music licensing for businesses is serious business. For more articles on this topic, please read Blog articles on Music Licensing by Easy On Hold or view the Learn section of easyonhold.com that refers to music licensing. Phone On Hold Music Licensing – Am I Legal? Radio On Hold: Forget Illegal, It’s Downright Dumb! 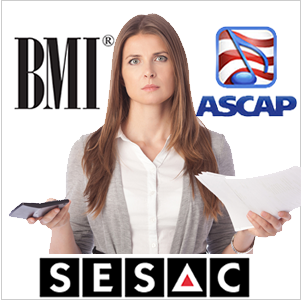 Music On Hold Advice: Should I Purchase ASCAP/BMI License? Payment Of Fees Requested. Do You Need To Pay? Is Your Music On Hold Licensed?